Michael began his yoga journey at the age of 20 when he left his profession as a studio musician and joined a bhakti yoga monastery. For the next 10 years he travelled Australia, New Zealand and India as a celibate monk, studying the traditional yogic canons and engaging in strict daily yogic sadhanas of meditation, kirtan and service. Then after another 6 years as a traditional Vedic (Hindu) priest, he took an interest in the more physical aspects of yoga. He successfully completed a 3-year diploma course with Satyananda Yoga before finally finding his passion with Power Vinyasa. Since then he’s been certified by Baron Baptiste, became certified with Anti Gravity level 1 and 2, and founded one of Australia’s most successful regional yoga studios in Newcastle. 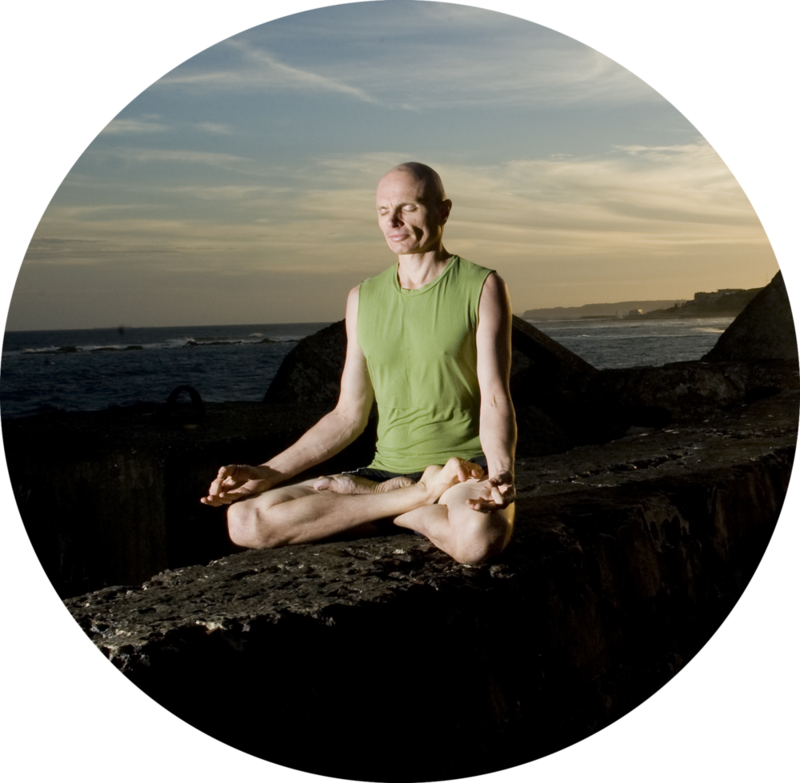 As a seasoned facilitator, Michael has helped pioneer, develop and facilitate many yoga teacher training programs all over Australia, including Power Living, Satyananda Yoga Academy, Hot Power Yoga (Now Yoga Body Works) Flex Hot Yoga (Brisbane), Raw Power Yoga (Brisbane) and Power Yoga Canberra. Michael really is a teacher of teachers. He brings with him great integrity and depth, forged by more than 31 years of strict, yet joyful daily practice. His teaching is full of compassion, humour and authenticity, with a deep respect for tradition, but without being over zealous. He currently lives in Murwillumbah with the loves of his life - Tulasi - his partner of more than 21 years, and his two gorgeous young sons, Abhi & Vallabha. Despite the calls of the world, Michael still gets up early every day to maintain his dedicated 2 hour meditation practice, plus jumping around on his yoga-mat as a bonus.